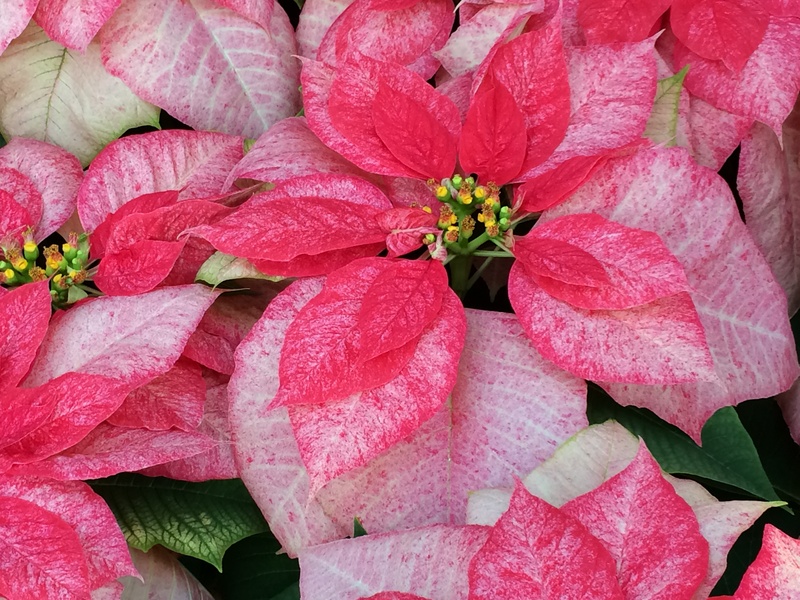 Contrary to popular belief, Poinsettias are not poisonous. 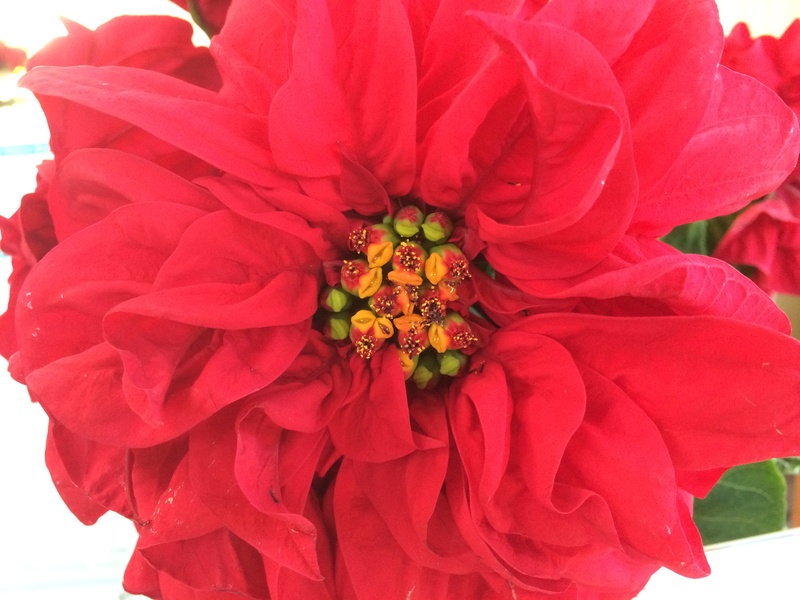 This misconception was spread by a 1919 urban legend of a two-year-old child dying after consuming a poinsettia leaf. 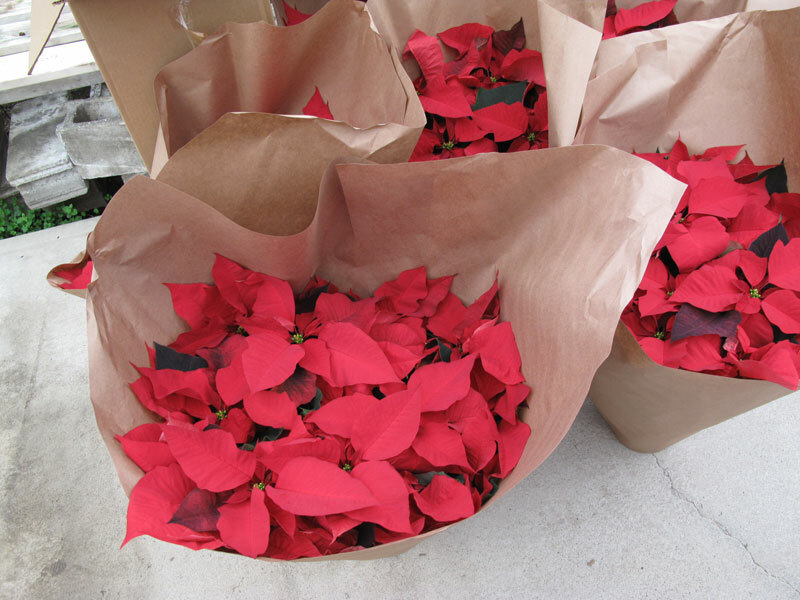 Poinsettias are now the best-selling potted plant in the U.S. and Canada! 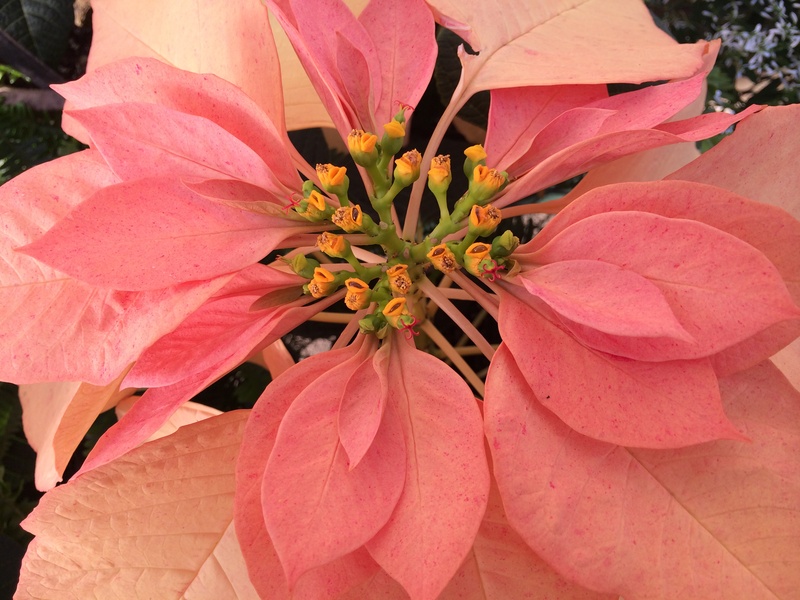 Poinsettias thrive in indirect, natural daylight- at least 6 hours a day. 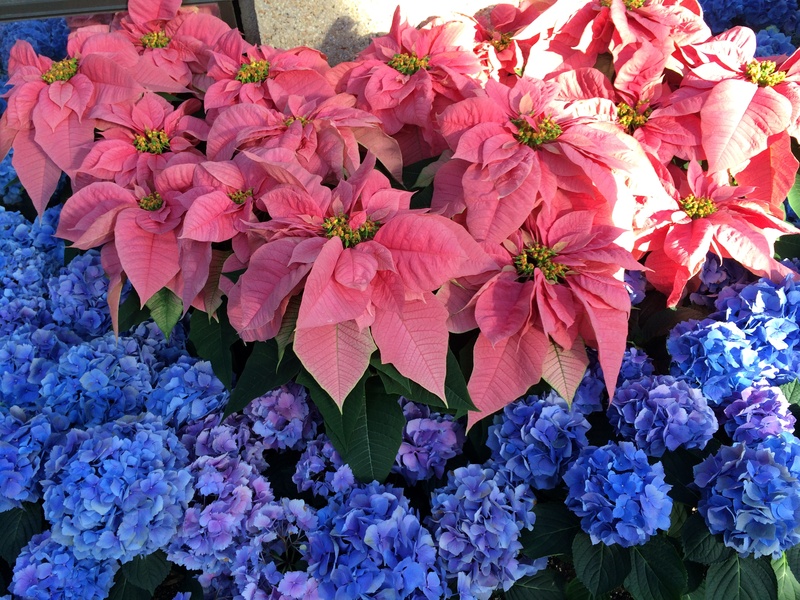 Do not place them in direct sunlight, as this may fade the bract olor. 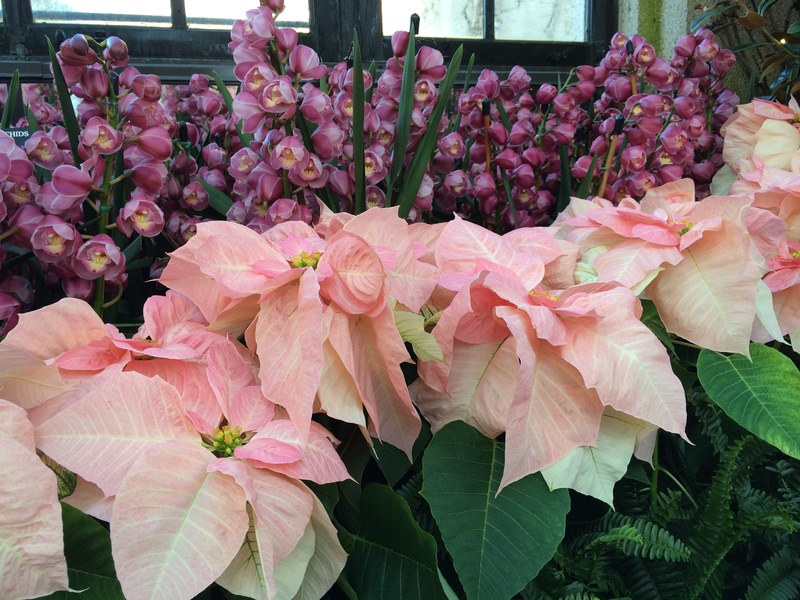 For longer bloom, keep in temperatures of 65 degrees to 70. Keep the soil moist, and water when the soil feels dry to the touch. Do not allow the plants to sit in standing water. If your plant comes in a foil wrapper, remove this so the pot can drain properly or puncture so that the wrapper can drain. Fertilizer is not necessary while blooming. 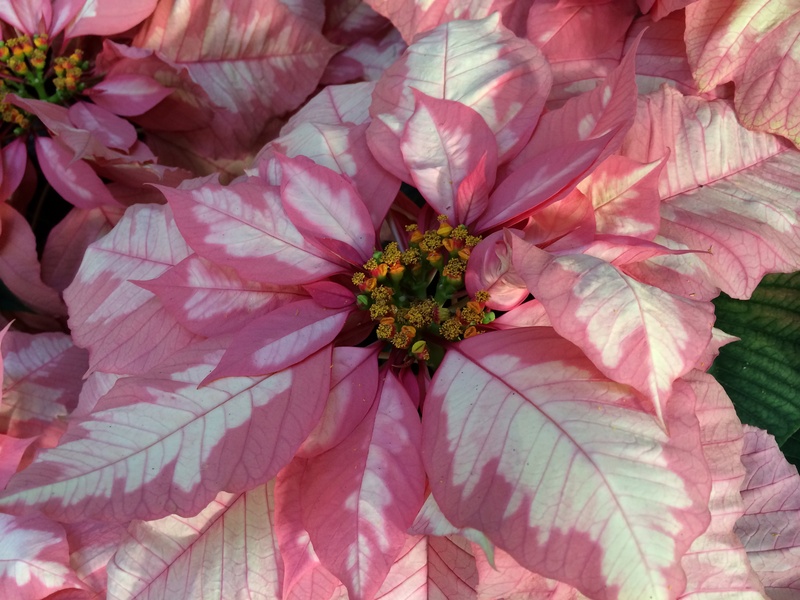 It is possible to get your poinsettia to “rebloom” next year, but you need to follow strict requirements for light, temperature, and fertilization. Following all these rules is way too much trouble for me, so I consider this plant a “throwaway”. 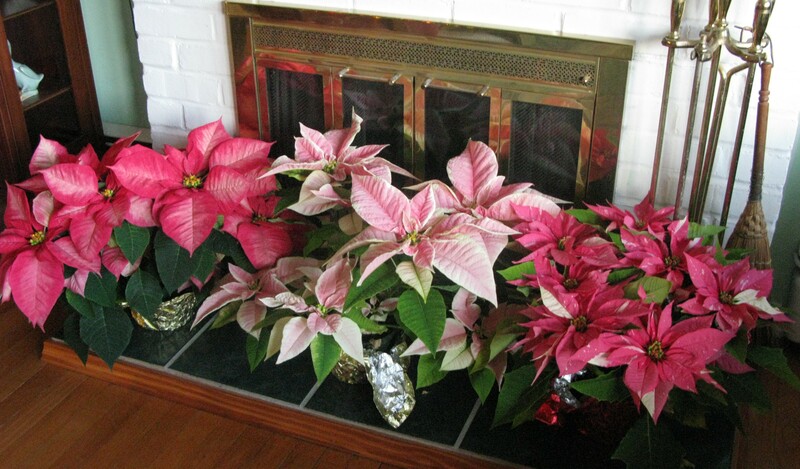 Poinsettias are very inexpensive and I leave the growing of them to experts who have the right equipment to make this happen. 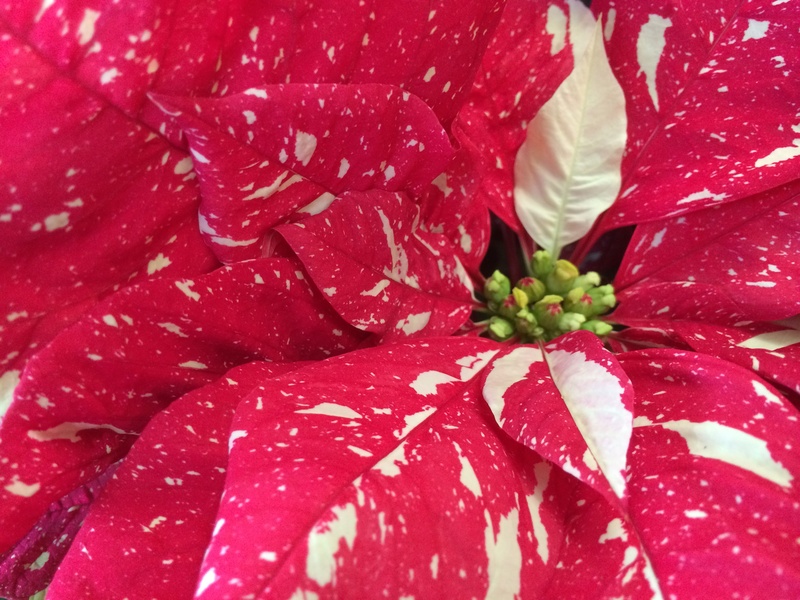 If you really want to get your poinsettia to bloom again, go to University of Illinois for detailed instructions. 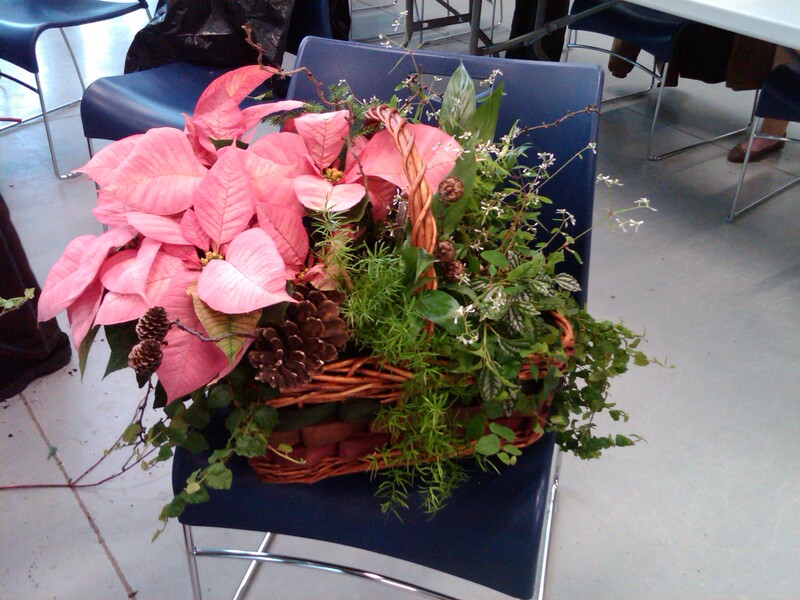 As cut flowers, Poinsettias are great, but you rarely see them used this way. The plants are so inexpensive, that I don’t feel guilty buying one, and cutting the flowers off for arrangements. You can get an entirely different look by using them as cut flowers and they last a long time in a vase, over a week! 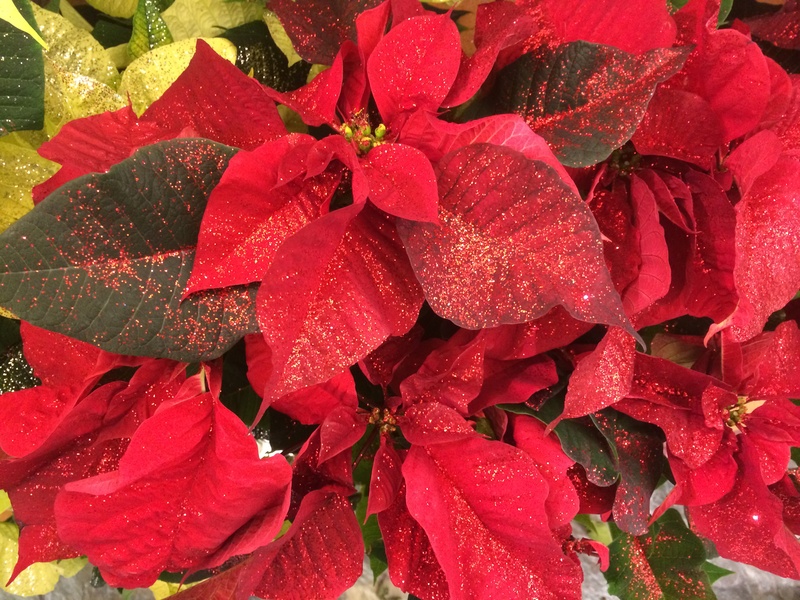 I’m glad you clarified that Poinsettias are not poisonous. A lot of innocent plants get a bad reputation due to misinformation, and I’m sure many parents and pet owners have spent agonizing nights in the ER after their little ones nibbled a few leaves. Lots of good info in this post. Thank you. 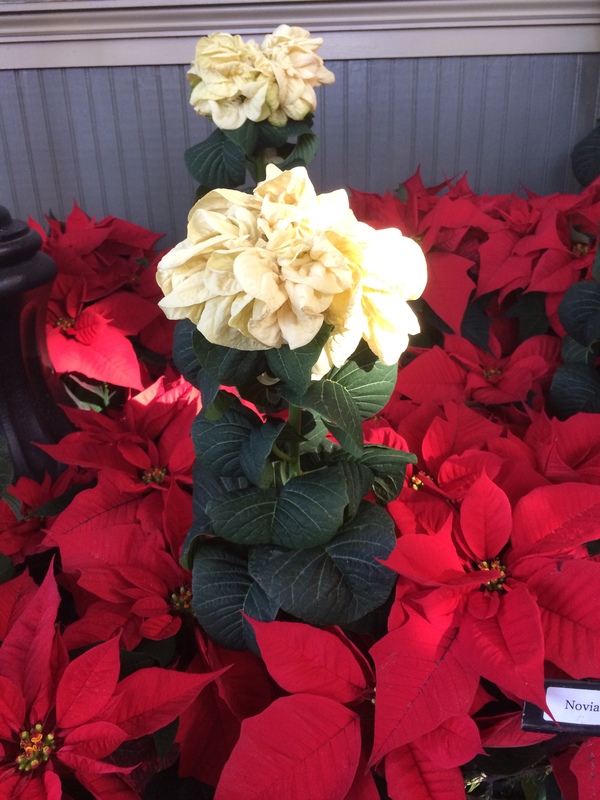 Claire, as usual I enjoyed all the history and information about poinsettias. Some of it I even knew, imagine that? 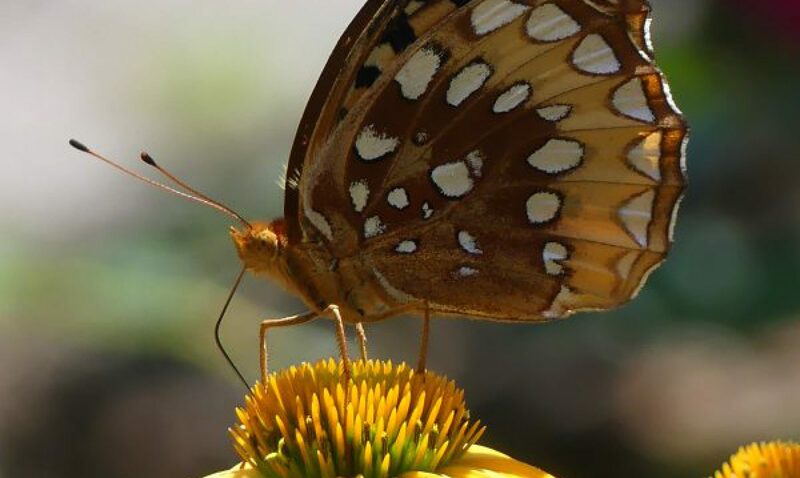 Thanks for your educational post and beautiful pictures. A very Merry Christmas to you. 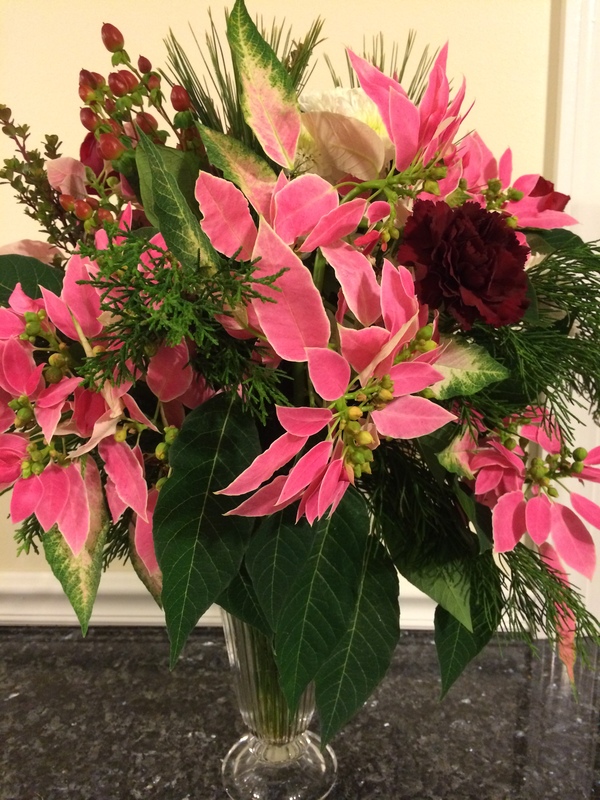 I’ve been told that poinsettias don’t do well as cut flowers, that they wilt almost immediately and harm other plants in the arrangement. I’ve also read that this can be prevented by burning the cut stem to close off the end. Never having tried either, I’m curious about your experience. I burn them on the ends and they last a week or more. Try it! I will, and thank you.